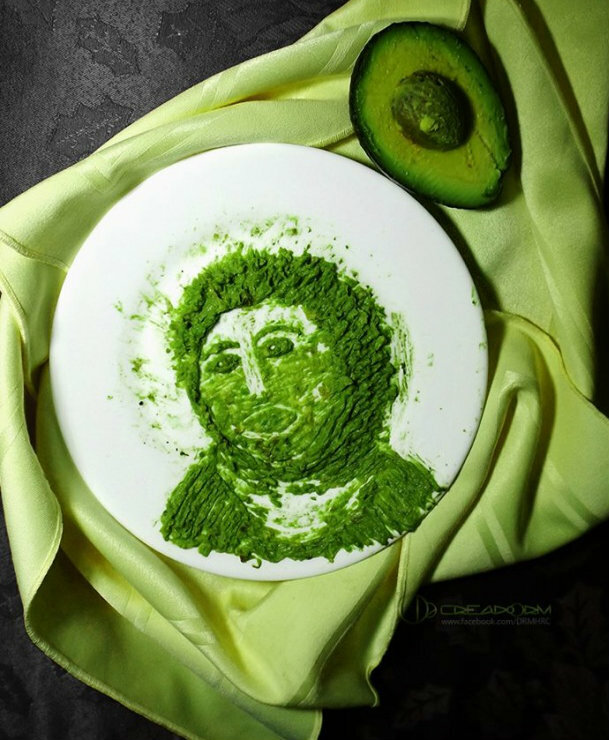 In addition to reproducing Cecilia Jimenez ruined artistic recreation of a 19 century fresco of Jesus, this prolific avocado artist has also some interesting renderings of Monalisa, The Joker and Gokú, among others. From now on, I’ll be referring to this thing as AguacARTE. This entry was posted in Awkard homages, Food, Guacala, Spanish and tagged art, avocado, Ecce homo. Bookmark the permalink.